Cooking and baking are terms that we probably hear every day or do every day. However, not all of us can give a straight answer when asked what the difference between the two is! Cooking and baking both involve heat and are methods to prepare food, but what sets them apart? This article will discuss the difference between cooking and baking. Cooking is a method of preparing food by using heat and manipulating the chemical properties of the ingredients. It can be done at home or in a commercial establishment. The ingredients used in cooking food are usually living organisms and other naturally occurring substances such as animal meat, eggs, dairy, vegetables, fruits, herbs, spices, fungi (e.g. mushrooms and yeast), water, and minerals (e.g. salt). Other ingredients like artificial flavoring, coloring, and liquor can also be used in cooking. When exposed to heat, the appearance, flavor, texture, and even chemical composition of the ingredients may change. Some ingredients become softer and tender as the fibers break down (e.g. meat, cartilage, vegetables), while others become firmer (e.g. eggs). Food can also shrink as the moisture evaporates and becomes steam (e.g meat cuts), while others expand (e.g cookies). Other ingredients may become brighter (e.g. some vegetables) while others darken (e.g. sugar, bread, meat). Moreover, water is not the only element that is reduced during cooking. The flavors, nutrients, and vitamins can be lessened, too. In fact, the aroma of the food being cooked is actually the flavor of the food evaporating into the air. 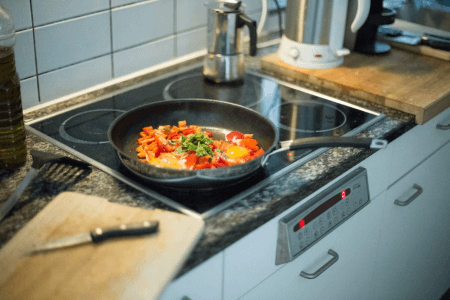 It is important to note that some types of food can be cooked through a chemical reaction when certain ingredients are mixed together without the actual presence of heat. For example, in South America, fish is traditionally cooked by mixing it with something acidic like lemon, lime or vinegar. Many people say that cooking, in general, is an “art” because you are free to alter or estimate the measurements of ingredients, depending on your personal taste. For example, some recipes just indicate “a handful of peanuts” or “season to taste,” which can be subjective; it’s really up to you how many peanuts or how much salt to add. Also, you can often change the ingredients in cooking. For example, if you cannot find brown rice, it’s generally fine to use white rice instead. Baking, on the other hand, is a method of cooking food by using constant dry heat. The source of this heat can be burned wood, coal, gas, or electricity. 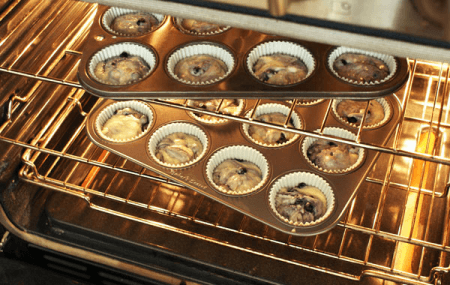 The constant flow of dry heat in baking can alter the chemical composition of some foods. For instance, when steady heat travels through it, bread dough becomes firmer and darker, liquid batter becomes a soft crust, and scoops of dough start to spread out and become flat. Baking has the tendency to reduce the vitamins and minerals of the food. It also has the tendency to produce acrylamide, a carcinogen produced when the food is exposed to high temperature. Many people say that baking is similar to “science.” It typically requires a precise measurement of the ingredients to achieve the ideal results. For instance, if a recipe calls for two cups of flour, eyeballing the measurements does not always produce desirable results. Baking is used to make pizza, lasagna, cakes, cupcakes, muffins, biscuits, cookies, pies, tarts, and scones, for example. It can also be used to cook meat and vegetables. What, then, is the difference between cooking and baking? Cooking is a general term that refers to any method of preparing food by using heat. Baking, on the other hand, is cooking food by applying dry heat usually in an oven. In short, baking is one type of cooking. Cooking is considered an “art” by many because you are free to alter, “guesstimate,” or improvise the ingredients based on your preference. Conversely, baking is somewhat similar to “science” because it requires accuracy and precision in the measurements of the ingredients to achieve the ideal results.